As discussed last quarter, the litigation costs related to Apple could be approximately €100 million per year. We have ramped spending on licensing-related litigation, and the Apple-related costs are already at a run rate of approximately €50 million in Q1. When Nokia last year shared with investors that not one Chinese phone manufacturer is licensing Nokia patents, I was quite shocked, because three out of five top global phone makers are from China. Rajeev shared that Nokia is making progress and in talks with leading mobile manufacturers in China, so we could expect a positive outcome soon. Also, an important step forward and following encouraging signs in China, we are seeing deeper engagement on licensing topics, and are now in discussions with many of the leading mobile manufacturers in that country. As per HMD, Nokia’s executives didn’t say much apart from that they are excited and expect, apart from the low-risk licencing income, positive impact to the Nokia brand thanks to HMD’s marketing spending. Suri also added that Nokia saw excellent sales of Withing HR “smartwatch”. 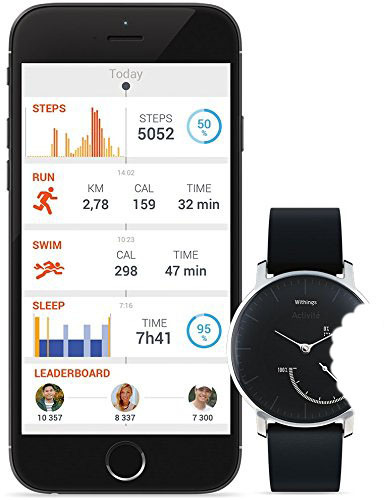 During the quarter, we also announced our plans to transition the Withings brand to Nokia, and saw excellent sales of the Withings Steel HR activity tracker and heart rate monitor. And of course, I think it would have been hard to miss the excitement around the launch of Nokia-branded phones by our partner HMD Global. Not only do we get the benefit of low-risk brand licensing revenue from HMD Global, but we also expect their marketing spend to have a positive impact on the Nokia brand. You can read the whole transcript at SeekingAlpha.com. You can check Nokia’s Q1 report here.